Smell is one of the five senses. Our nose lets us smell. 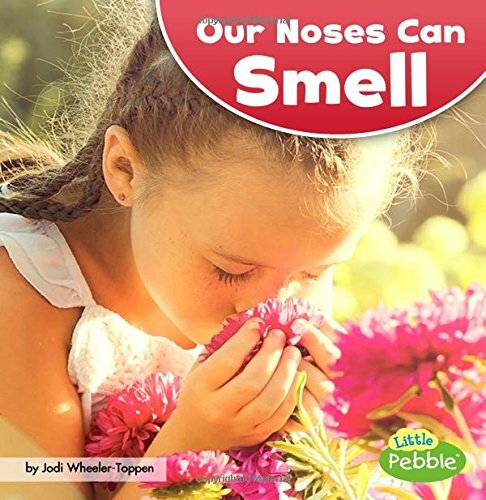 Simple, fun text teaches readers about the sense of smell and how the nose lets us smell. Quizzable text is at an Accelerated Reader ATOS level of 1.0 or lower. Jodi Wheeler-Toppen is the author of more than 10 books for children and teachers. She holds a PhD in science education from the University of Georgia. She lives in Atlanta, Georgia, with her family. When she's not doing science with children or teachers, she's trying to build a whatcha-ma-jigaroo out of spare parts. It will surely be a remarkable device (if she can ever get it to work)!